Robustness — done the right way! Robustness Validation — DONE RIGHT! 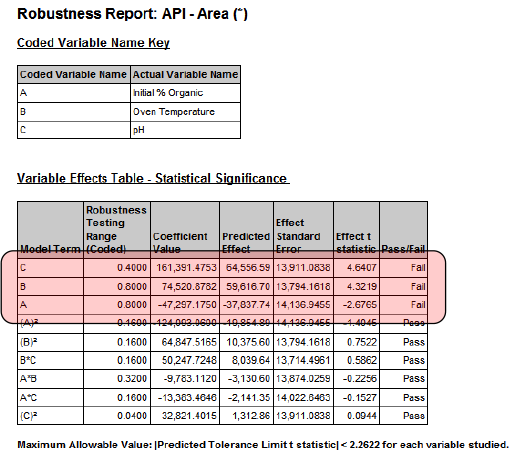 You select the parameters to include in the automated robustness experiment. 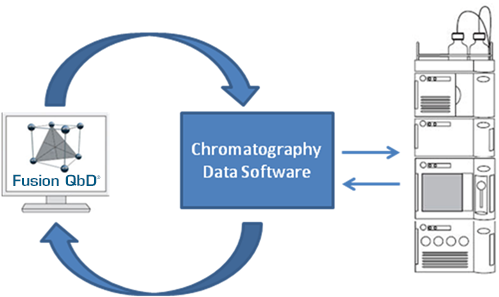 Fusion Method Validation (FMV) will automatically generate the robustness design, re-construct it in the CDS as ready-to-run methods and sequence, import the chromatogram results directly from the CDS, re-map them to the robustness study, and instantly analyze, graph, and report the results. 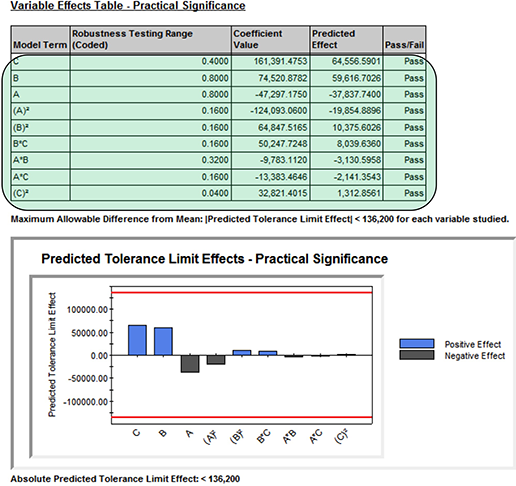 FMV robustness experiments let you use valid experiment ranges for accurate, defensible estimates of parameter effects. This avoids the risks associated with setting ranges equal to the expected variation ranges of your instrument parameters. To benchmark time savings using FMV versus current practice, a senior analytical chemist at an international pharmaceutical account used FMV to complete a series of Early Phase and Final Phase method validation experiments. 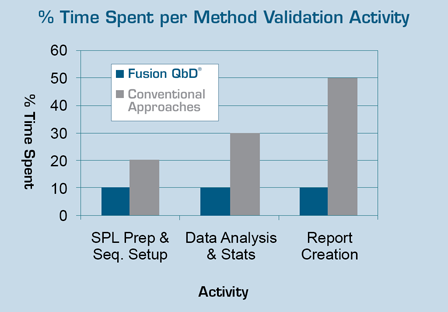 The entire method validation exercise took less than 12 hours using Fusion QbD. Work records showed that on average — from SOP planning and experiment design construction to final reporting — using "current practice" this project would have required more than two weeks of analyst time. View our brochure online. Or download the PDF. Learn all about Fusion QbD, the only automated LC method development software 100% aligned with QbD guidances. 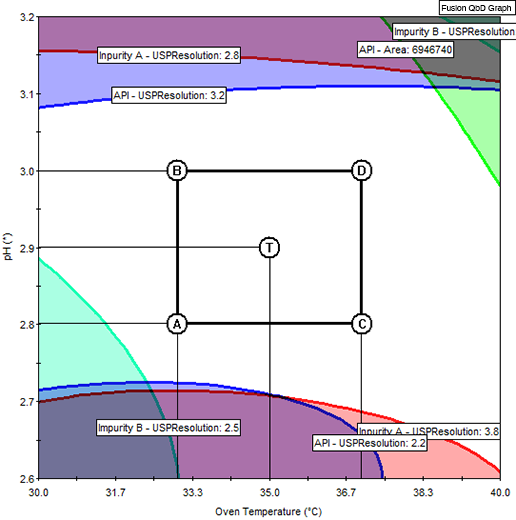 Fusion LC Method Validation Overview.